Paul Vermeersch: April Fool's Day is tomorrow. 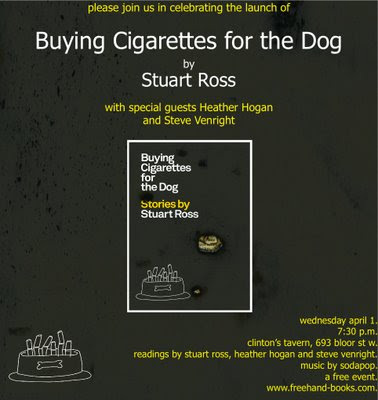 Stuart Ross launches Buying Cigarettes for the Dog. Be there. April Fool's Day is tomorrow. Stuart Ross launches Buying Cigarettes for the Dog. Be there. "If this book doesn't win the Giller, I'm gonna start pushing buttons!"